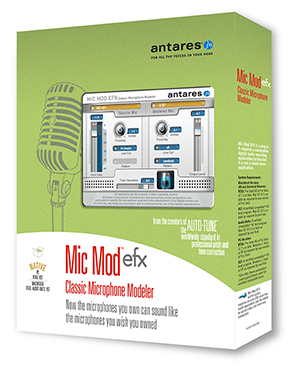 Mic Mod efx, Microphone simulator from Antares Audio Technology. 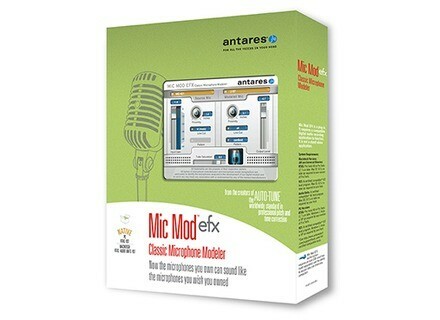 For Cyber Monday, Antares lowers the price of its Mic Mod EFX mic modeling plug-in for Mac OS X and Windows. Until tonight, you can get the Mic Mod EFX plug-in for the price of $29 instead of $179 at www.antarestech.com. [BKFR] WaveDNA Black Friday special offers WaveDNA Liquid Rhythm beat creation software is on sale until Monday. [BKFR] Special offers at Positive Grid For Black Friday, Positive Grid lowers the price of its iOS apps.